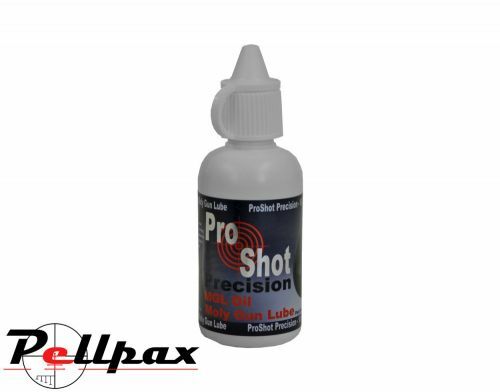 ProShot Precision Moly Gun Lube is a special combination of oils which creates a unique lubricant which is ideal for the use on firing pins, triggers, piston rings, washers, and other metal to metal surfaces which need a high quality lubricant to ensure long lasting operation and low wear. Some of its properties include High Temperature Resistance, Long Lasting, Wear Reducing, and Low Viscosity. The Oil is provided in a small 30ml bottle with a dropper top for quick and easy application. Add this item to your basket & spend an extra £494.50 to apply for finance.